Hockey has hit a rough patch of ice of late, according to author Stephen Smith, a sports writer and hockey fan. Smith believes that with the violence, the bad behaviour, and now the growing issue of concussions, hockey is at one of its lowest points ever. The troubled state of today’s game has left Smith wondering not only if hockey is still worthwhile but why he is still “so consumed and excited by this game” and yet so puzzled and exasperated with it. “Why were hockey players still punching each other in the head, and why hadn’t I stopped watching in protest?” Smith asks in Puckstruck. To answer his questions, he set out to read all of the books ever written about hockey. He quickly realized, however, that that is too big of a goal for any one person, so he settled on reading hundreds of books, all with the hope of discovering why hockey “distracts, delights, and distresses” him. Smith read histories, novels, scientific studies, biographies, and autobiographies, even Harlequin Romances — anything that featured hockey — and one of the things he discovered is that, according to those hundreds of books, hockey is indeed at an all-time low. But how did Canada’s national game and one of its greatest exports reach this point? Well, it appears that professional hockey and the National Hockey League is at the centre of it all. For better and for worse, the top tier of professional hockey, the NHL, has come to represent the sport. 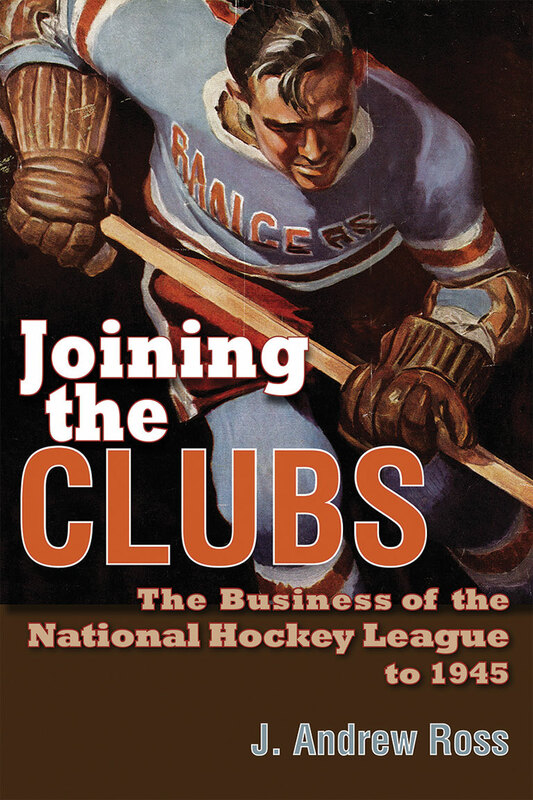 It has, in fact, become the very identity of hockey, writes J. Andrew Ross, a sports and business historian at the University of Guelph, in Joining the Clubs: The Business of the National Hockey League to 1945. With its skilled players, superior play, and overall excitement, it’s hard to beat a well-played professional hockey game. The professional league also drives many young hockey players to strive for success. This is as true now as it was in 1917, when the NHL’s Canadian founders chose to use the superior skill and greater physicality of its players, along with different rules and higher ticket prices, to set it apart from the amateur leagues. The NHL also expanded into the United States to ensure that the new league survived and thrived, but with that came further changes to the game to better suit the American audiences that were looking for speed and physical play. Even so, it was still a Canadian game, and today the U.S. version of hockey is essentially a Canadian game played by Canadian rules. Nearly everything that is the NHL today is rooted in those early, formative years, including the white-painted ice, singing the national anthem before games, and the fighting and roughness — both of which were celebrated and encouraged. “Even fighting was appreciated,” writes Ross. “After a pair of players were sent off after a bout and then resumed fisticuffs on the penalty bench, the New Yorker writer opined that ‘all this comes under the head of good clean fun, and one spends a truly sporting evening.’” Thus the stage was set for the state of today’s game. Joining the Clubs is rife with personality, just like the strong-willed, forward thinking individuals who made the NHL possible. Ross’s writing is lively and engaging, and his book is a fascinating look at the NHL in its formative years. Puckstruck, which was long-listed for the 2015 RBC Taylor Prize, is a more personal story, told in a series of vignettes, that explores hockey from its many angles, all of which were gleaned from the many books Smith read. And it’s not all doom and gloom for hockey. Smith’s journey is also a fantastic reminder that hockey can and should be fun, joyful, and full of enthusiasm. Taken together, these books remind us of what hockey is, and perhaps what it shouldn’t be — an understanding that can only help the game. Hockey is still Canada’s game, and if the problems facing hockey ever destroyed it, we Canadians would be a shadow of ourselves. Both books are also a reminder that, despite the problems the sport faces, hockey remains a valid and worthwhile pastime. All it takes is a puck and a stick. The ice is waiting, writes Smith, so get out there. Book Review: Alan Livingstone MacLeod presents a remarkable look at the many ways we honoured our war dead, and he explores the symbolism found in these often lonely monuments. Dozens of colour photographs finely illustrate the meticulous care and craftsmanship that went into sculpting these memorials. Long after the two world wars, they remain standing as a reminders of the true human cost of war. Book Review: In 1956, a crew of four sailors, led by Henri Beaudout, and two kittens set out to cross the North Atlantic on a raft made from little more than nine telephone poles and two kilometres of rope.